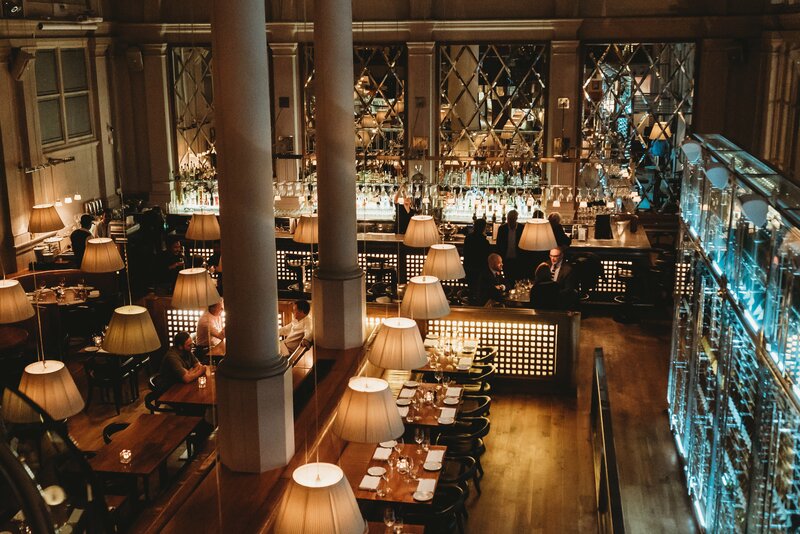 In the last week I have been to Restaurant Bar and Grill in Leeds twice and had a fantastic time, so I had to share my experience. The food was so delicious, and the atmosphere is brilliant. I had such a great time at my first visit I was happy to learn that I would be attending a blogger event there again later that week. You can read all about the Salon Success Jingle Mingle blogger event at Restaurant Bar and Grill here in yesterdays post. Restaurant Bar and Grill is located very close to Leeds train station, just in city square. Unlike other venues, there is an excellent range of choice for vegetarian options. 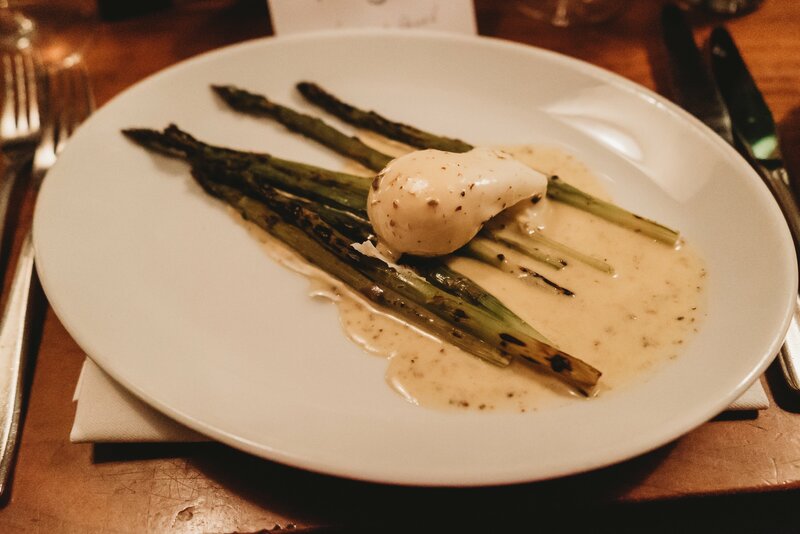 For starter, I had the chargrilled asparagus with poached duck egg and truffle butter sauce. This was very tasty and served beautifully as you can see! The main courses I have eaten have been equally delicious. The first main I had was their grilled arctic salmon superfood salad with quinoa tabbouleh, beetroot, quail’s egg and toasted seeds. You cannot be disappointed with this salad; it was beautiful. As was the other main I had at the blogger event, their butternut squash & goats cheese tart, duck egg, lemon and thyme butter sauce. Of course, the area of most importance is the desserts! At my first visit, I chose the passion fruit crème brûlée with fresh passion fruit on top, and it was divine. 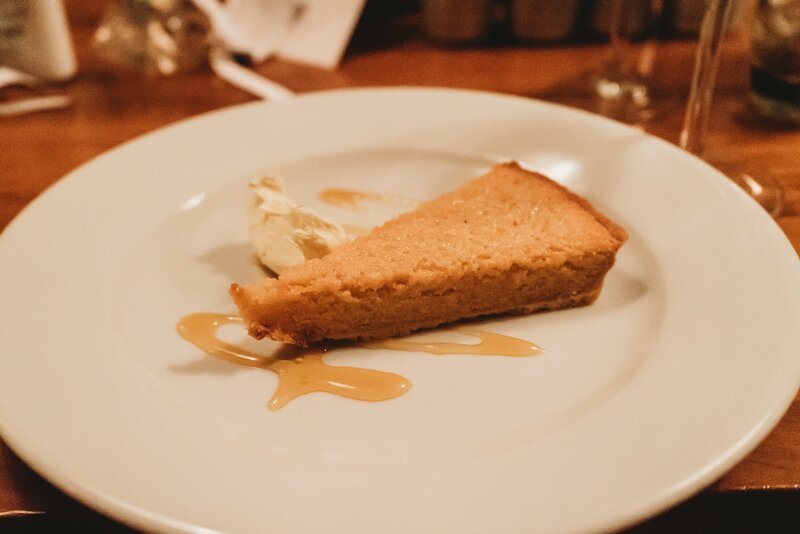 For my second visit, the bloggers were treated to treacle tart with clotted cream on the side. This isn’t something that I would have ever chosen for myself, but it was one of the best puddings I have ever had. The base was far too tough to eat, but the filling was incredible – it didn’t last long! Where are some of your favourite places to eat in Leeds? Do you have a favourite restaurant in your local city?